Cooking fresh fish at home is both healthy and delicious. But it can go terribly wrong if you don’t have the right pan. The thing about fish is that it’s very delicate (most common types are, at least). Once fish is cooked it is flaky, soft and easily breakable, so you need a pan to accommodate this properly. That’s where we come in. We’ve narrowed down on what exactly makes a pan ideal for cooking our sea-dwelling proteins. Then, we will show you our pick for the best pan for cooking fish. We’ve found a pan that encompasses all those crucial traits, so you don’t have to trawl the net to find it. 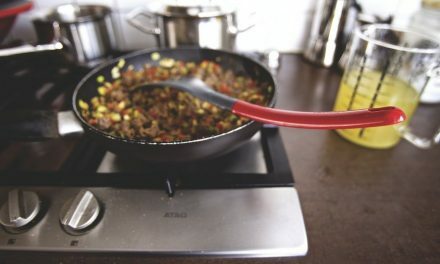 Scanpan is a fantastic brand from Denmark, with a stellar reputation for making high-quality cookware to last. First let’s address the price, yes…it’s not the cheapest. It’s pretty expensive for one pan, but we think it’s worth it for the quality and longevity. This pan comes from Scanpan’s “Classic” range which is designed for smart and efficient everyday cooking. It is made from “squeeze cast” aluminum with a ceramic titanium non-stick coating. 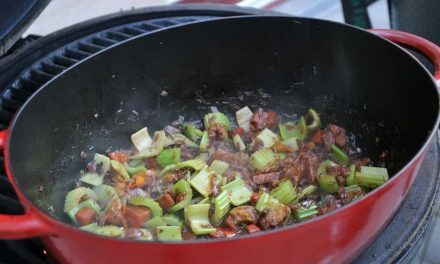 The squeeze-cast process gives the pan a top-notch ability to distribute heat evenly. The non-stick coating isn’t your stock-standard ceramic coating. Scanpan has created a non-toxic, non-stick coating with a diamond-hard formula. It’s so sturdy that it can be used with metal utensils without scratching or peeling. (The only thing to note here which could be a setback for you is that this pan isn’t compatible with induction cooktops. But it’s perfect for all other cooktops). 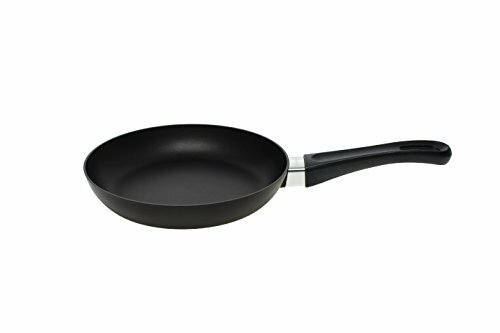 Non-stick: some non-stick surfaces are a little questionable and don’t last long. But Scanpan has worked hard to create a true non-stick coating that lasts. It’s non-toxic, can withstand high heat and won’t scratch with a metal fish slice. This is just what we need for our fish. We can blast it at high heat and flip it with a metal spatula, all without a trace of stuck fish. Hard-wearing: we love the durability of this pan. As mentioned before, it’s compatible with all utensils, including metal. Scanpan has patented a special handle which is fixed to the pan incredibly strongly. It also means that there are no little screws or bumpy bits on the interior of the pan where the handle has been fixed. This is great for cleaning as there’s no little corners or grooves for fishy grease to gather around. 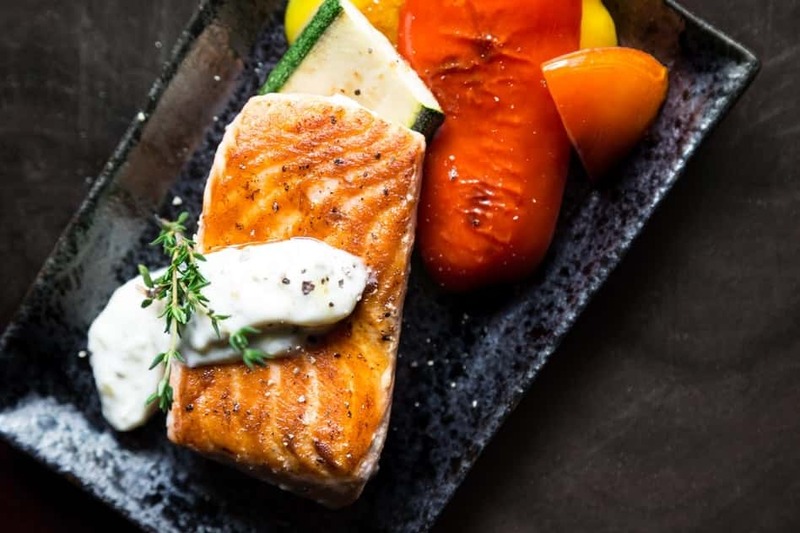 Oven-safe: you can give your fish a quick sear on the stove to seal the edges then pop it straight into the oven (up to 500 degrees Fahrenheit) to finish off. We love this because it just gives you so many more options. You could cook a tried-and-true pan-fried fish with nothing but butter and lemon. Or, you could sear it on the stove then slow cook it in the oven in a pool of rich tomato sauce. Easy to clean: the truly non-stick surface makes clean up so simple. There will be no little chunks or burnt bits, or stuck-on crumb. Everything slides off like a dream, eliminating the need for scrubbing. This also helps to remove the fish smell from the pan a little more thoroughly too. Environmentally friendly: this one isn’t really related to fish, but it helped us make our selection all the same. Scanpan uses recycled aluminum to help cut down on their environmental footprint. We think that’s really awesome and worth supporting! T-Fal is a well-known cookware brand, made most popular by the red heat indicator spot. They’ve nailed the non-stick coating and have achieved a user-friendly pan with oven and dishwasher-safe materials. Non-stick: T-Fal’s patented non-stick surface is super non-stick for easy fish cooking. Also, it’s compatible with metal utensils so you don’t need to be picky with your tools, and the surface will remain unscratched. Oven-safe: you can pop this pan in the oven up to 400 degrees Fahrenheit, so you have the option of cooking your fish in the oven after giving it a good sear. 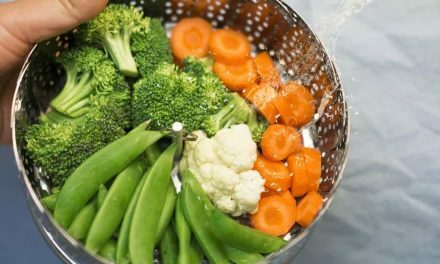 Dishwasher-safe: rid your pan of any residual fishy odor by giving it a quick rinse, then throwing it straight into the dishwasher. This is great for busy people with no time for handwashing fishy pans. Heat indicator: of course, it has the T-Fal heat indicator spot. This is great for new cooks, or cooks who like a little bit of assistance when judging when the pan is ready to go. Anti-warp: T-Fal has come up with a design to ensure their frying pans don’t get that infuriating warp which distorts the bottom of the pan. It will remain level and straight so your fish cooks evenly and any sauce you use doesn’t go rushing to the sides of the pan. Soft-touch handle: the handle is made from silicone to prevent you from burning yourself when frying your fish. It also helps to get a good, safe grip for those of us who are a little clumsy and likely to drop a hot pan. If Tramontina is a less familiar brand to you (compared to T-Fal or Calphalon, let’s say), be assured it’s a very trustworthy one. This pan is made for pro-grade cooking in restaurants where standards are high, so you know you’re getting something top notch. Non-stick: as you can see in the video review, this pan is truly non-stick. You won’t have to deal with bits of stuck, burnt fish or a huge clean-up job on your hands. The non-stick surface is PFOA-free and restaurant quality. Dishwasher safe: you can get this pan back to sparkling new after every use by popping it straight into the dishwasher. Very handy for getting those last whiffs of cooked fish cleaned away. Comfortable handle sleeve: the handle is pretty awesome as it comes with a removable silicone sleeve. Plus, the sleeve is red and it looks great in the kitchen too. The handle is great for grip and protecting your hands from heat. Oven safe: you can use this pan in the oven up to 400 degrees Fahrenheit. Perfect for keeping fish warm or finishing it under the broiler. NSF-certified: this means that the pan has been approved to fit with food safety standards which service-grade products are held to. In other words? It’s a great pan according to industry professionals. Non-stick: this isn’t completely crucial. You can cook fish on a regular (i.e. not non-stick) surface if you have very high heat and a firm hand with a metal fish slice. But for most of us at home, a non-stick surface simply eliminates the risk of losing half our fish to the mercy of the pan, which can happen. It also means we can crumb or coat our fish and keep it all “stuck on” and intact. Also, it makes flipping or turning your fish a breeze. High heat resistance: searing fish requires rather high heat. Not too hot, or the fat you’re using (oil or butter) will burn. But high enough so you can cook your fish quickly. This achieves a crispy outside (if you’re using a crumb), while keeping the inside juicy and soft. For this, you need a pan which can conduct, hold, and withstand high heat. Oven-safe: this isn’t a must-have, but it does open your fish-cooking options up. There are some fantastic fish recipes out there which direct you to first sear the fish on the stove before finishing it off in the oven. You can surround the fish with lemon, herbs and liquids before cooking in the oven, without spillage or having to fuss with trays and baking paper. Size: you want a pan which can fit a nice, large fillet of fish or two. 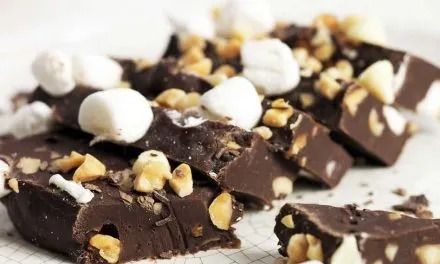 It also gives you the option of adding garnishes and flavorings (i.e. herbs, onions, garlic, lemon, fennel bulbs etc.) among your fish. Easy to clean: fish does have a distinct smell once it has been cooked. It’s a delicious smell at the time of cooking, but not so great when it lingers on your pan. We need a pan which doesn’t resist cleaning and can be whipped into tip-top shape with minimal effort. If you’re a keen fish eater and you’re finding your regular pan just isn’t holding up, seriously consider the Scanpan Classic 14-¼ Inch Fry Pan. It’s got all the design and construction details we need for stick-free fish fit for the stove and the oven. The price is a little steeper than others, but Scanpan is a very high-quality brand and it’s a pan you’ll be using for decades to come. Also check out our top picks from T-Fal and Tramontina, as they’re just as great for successful fish dishes.